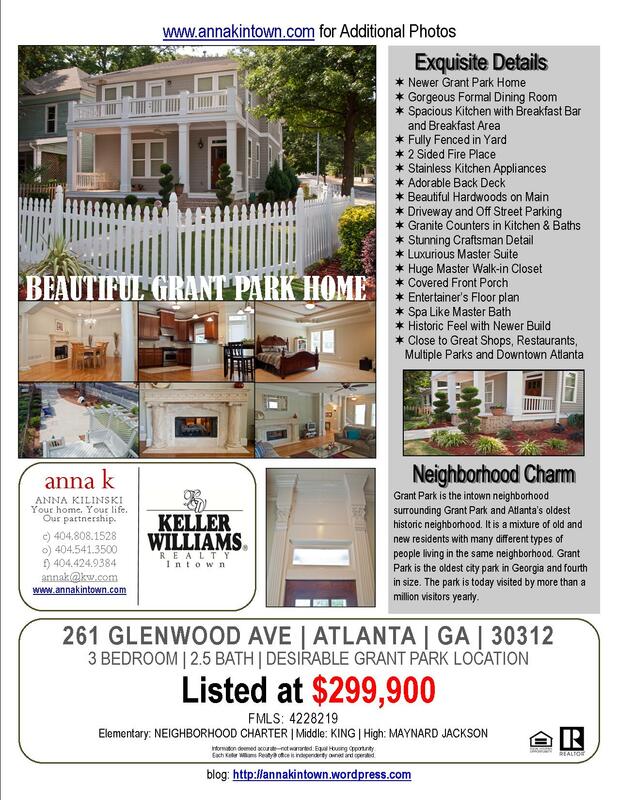 BEAUTIFUL GRANT PARK HOME- JUST REDUCED! 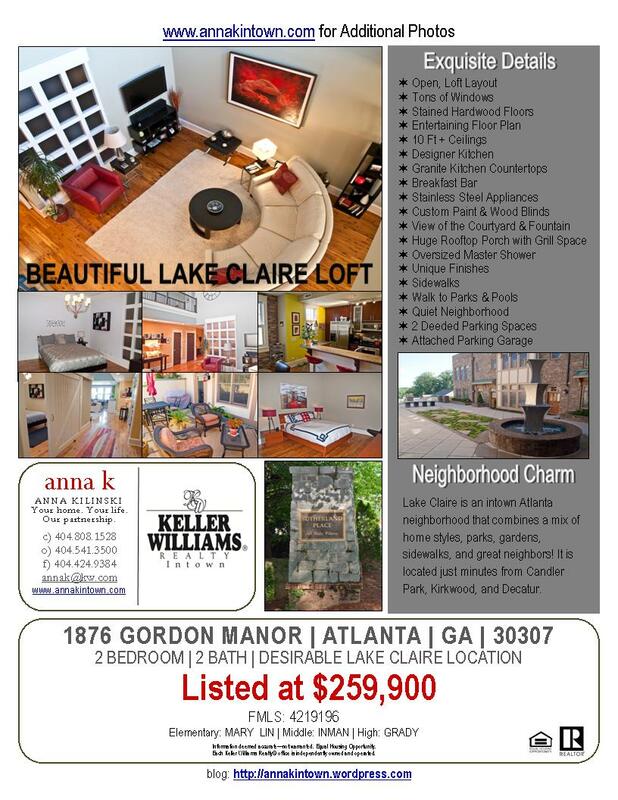 Open House in Lake Claire! Sunday, June 19th 1 to 3 pm! 261 Glenwood Ave Caravan 6/14 from 12-2 pm! First 10 Agents to stop by get a FREE yummy bottle of WINE! 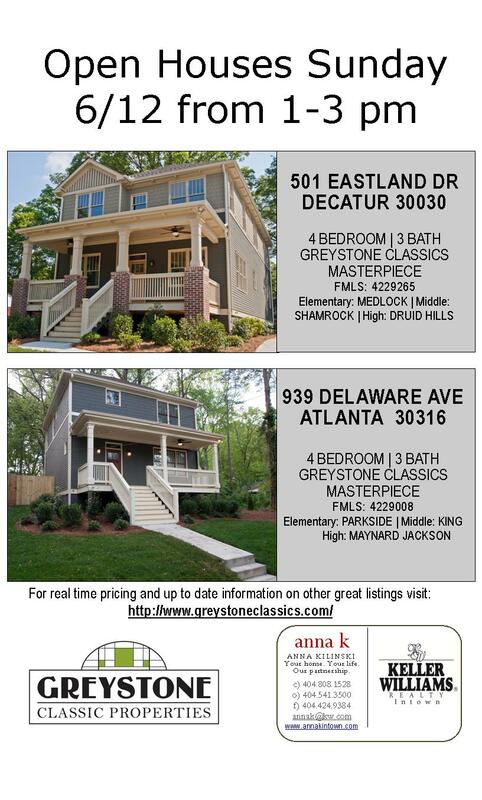 Take a look at these two NEW Greystone Classic Properties Listings! Both of these Gorgeous New Listings are Open on Sunday, June 12th from 1 to 3 pm. Stop by and check them out!